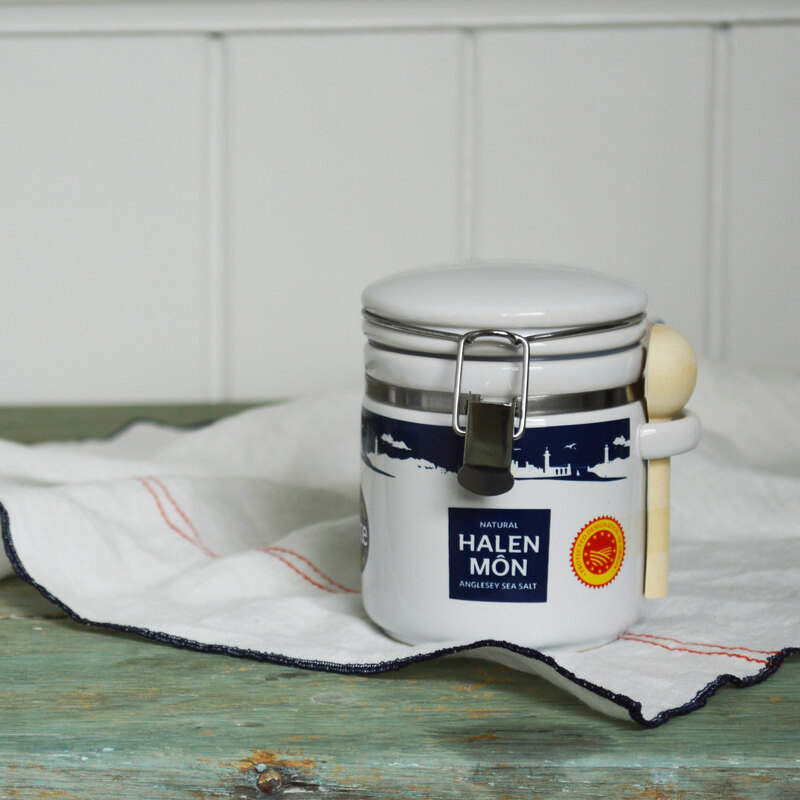 Our signature branded ceramic canister jar is the perfect container for our famous flakes. Our signature branded ceramic jar is the perfect container for our famous flakes. Keep it by the cooker or on the table and refill with our pouches. 100g of our Pure White Sea Salt is included with this purchase.